Instantly downloadable sheet music by Henry Mancini for choir and piano (SAB) of MEDIUM skill level. Instantly downloadable sheet music by Henry Mancini for choir and piano (SATB) of MEDIUM skill level. Instantly downloadable sheet music by Henry Mancini for choir and piano (SSA) of MEDIUM skill level. Alle Notenausgaben von Our Town zum Herunterladen bei VirtualSheetMusic. Instantly downloadable sheet music by Elton John for choir and piano (2-Part) of MEDIUM skill level. Alle Notenausgaben von The Lion King (Broadway Musical Highlights) zum Herunterladen bei VirtualSheetMusic. 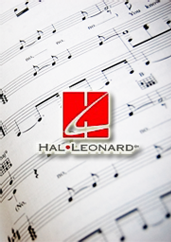 Alle Notenausgaben von So Long, Farewell (from The Sound Of Music) zum Herunterladen bei VirtualSheetMusic. Instantly downloadable sheet music by Elton John for choir and piano (3-Part Mixed) of MEDIUM skill level. Alle Notenausgaben von The Music Of The Night (from The Phantom Of The Opera) zum Herunterladen bei VirtualSheetMusic.